Protect your Samsung Galaxy S10+'s display from drops, nicks, and scratches with the Impact Flex Screen Protector from RhinoShield. Engineered to be flexible and ultrathin, it can wrap around the curved edges of your S10+ for a more seamless feel. With shock-damping material and impact dispersion, this protector is designed to absorb impact from up to 11'. The oleophobic coating resists fingerprints and smudges, so your S10+ stays clear and clean. 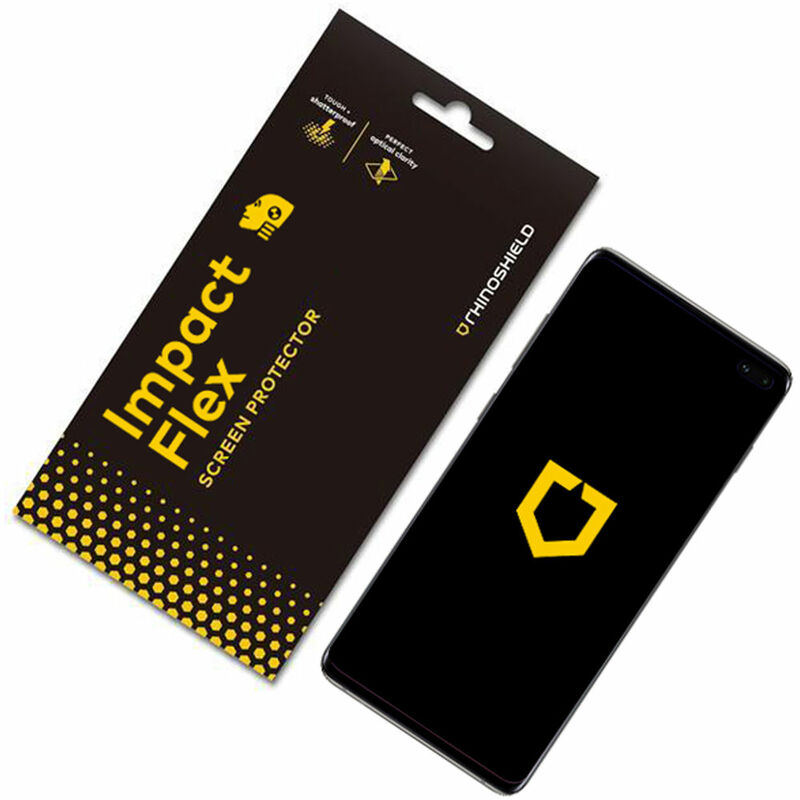 The no-residue adhesive ensures this protector stays on your phone but can be repositioned in case you do not stick it perfectly the first time. And, at 0.29mm thick, the protector is designed to be unobtrusive. Installation is made easy thanks to the included cleaning kit that consists of a microfiber cloth, dust removal sticker, and squeegee. Box Dimensions (LxWxH) 8.25 x 4.25 x 0.2"